“Food” & Garden ’15 Re-Cap – Day 1! 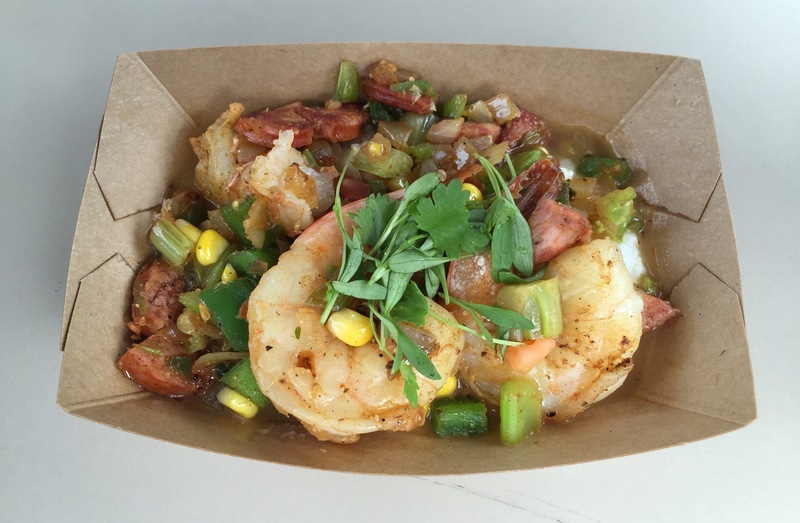 | It's "All in WDW"
“Food” & Garden ’15 Re-Cap – Day 1! 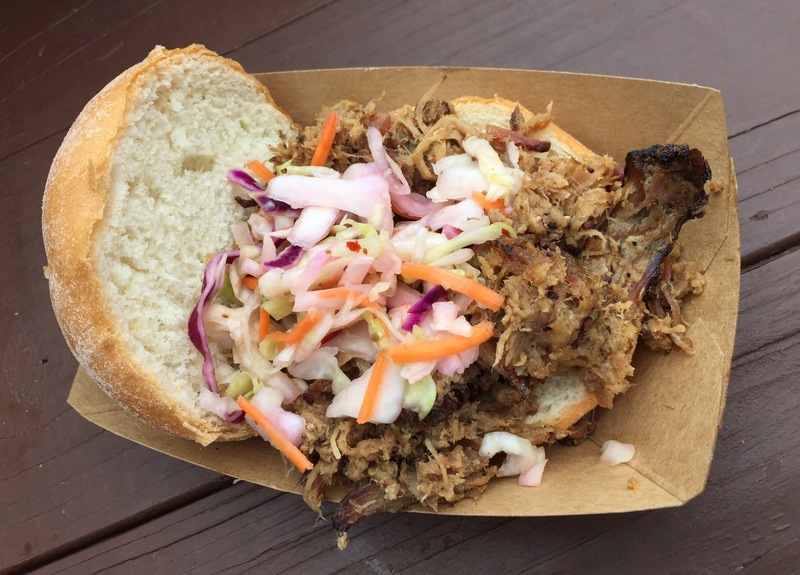 In my last “Flash Report” yesterday, I called The Smokehouse’s Pulled Pig Slider “… a pretty big disappointment.” And, at first sampling, it really was. It was a pretty sad outcome for a dish that, for two straight years prior to this year, was Epcot’s perennial “Food” & Garden stand out. Well, yesterday, I also said that we would definitely give it a second chance. Full disclosure, we snuck back to The Smokehouse last night and did just that! Great news! The dish was much, much better! The bun wasn’t dry. The pork was moist. I left the BBQ sauce at the condiment table. What a relief! But, will it’s quick rebound be enough to launch The Smokehouse’s “pig” back into contention? Hmm. We’ll have to see! 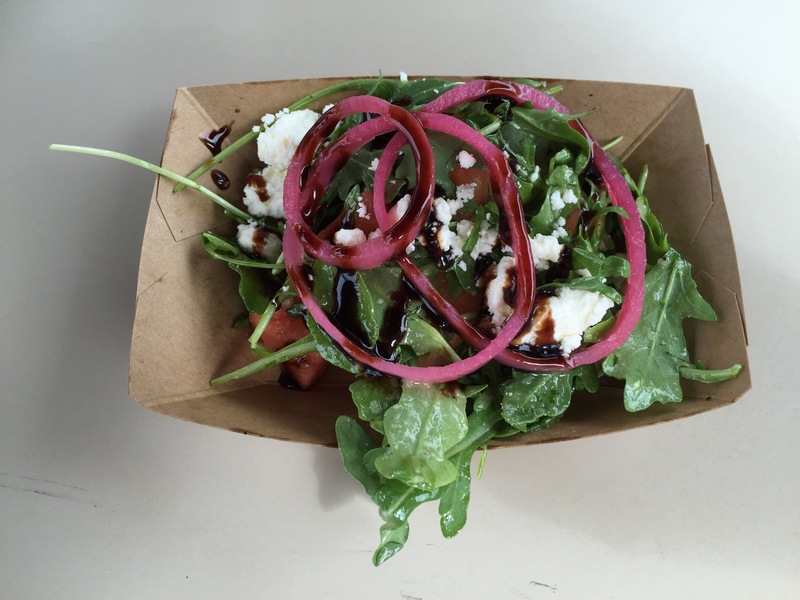 We enjoyed the symphony of flavors presented by Florida’s Watermelon Salad. As far as I was concerned, the portion size and “spot-on” spicy flavor of that same kitchen’s Shrimp and Stone-ground Grits were outstanding. Mrs. All in WDW wasn’t as convinced. 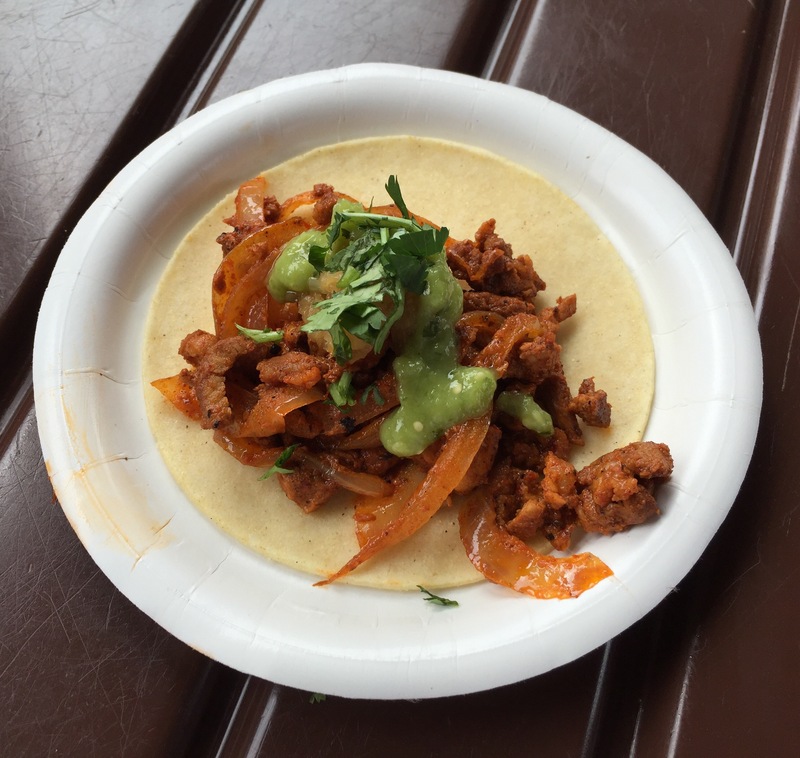 On the other hand, Mrs. All in WDW liked Mexico’s Achiote-marinated Pork Corn Tortilla. Now, here, I wasn’t sold! 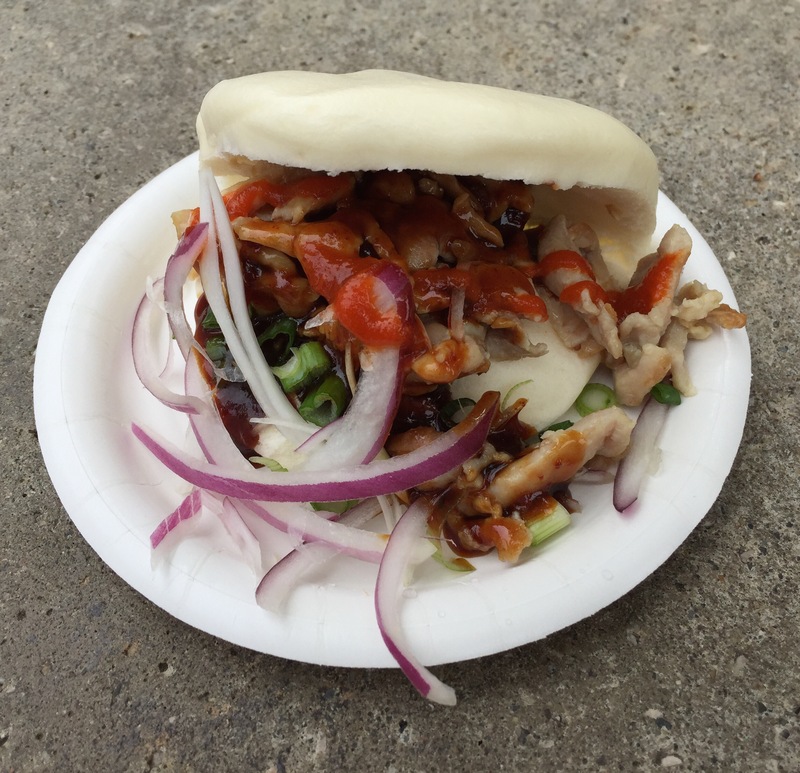 Finally, we experienced Epcot in all its “Food” & Garden delicious-ness when we met China’s Kung Pao Chicken “Steamed” Bun. Day 1 was a great day, my friends! Stay tuned, today, as All in WDW sends more food your way!